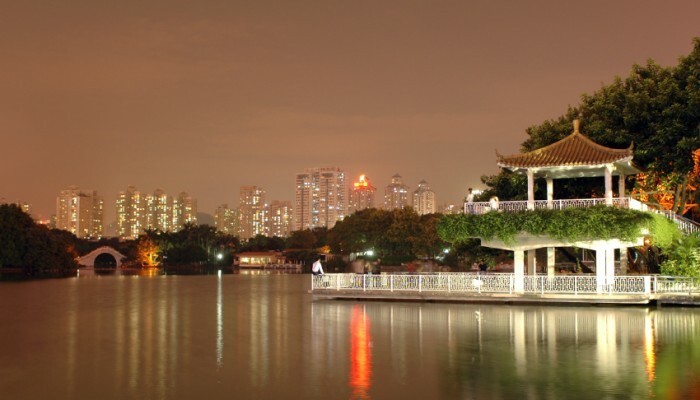 Shenzhen is located in the southern portion of the Guangdong Province, on the eastern shore of the Pearl River Delta. Neighboring the Pearl River Delta and Hong Kong, Shenzhen's location gives it a geographical advantage for economic development. In 1980, the first Special Economic Zone of China was built in this city. From then on, the city become a highlight of China, one known for its rapid economic growth. Our guide will be waiting for you outside the arrival hall of Shenzhen Airport and then transfer you to the hotel. On the way, you could have a brief view of this rapidly developing international city in South China. after finishing the hotel check-ion procedure, you are free to explore the city on your own. If time permits, it sis suggested that yo vist diwang Mansion which is located in the center or commercial area. the lift will take you to the top of this 384 -meter-high building in 50 seconds, where you could have a great bird's eye view of the city.